Recently a new record common carp was set in Belgium, with the capture of a huge specimen carp nicknamed The Big One at 85lb 4oz. 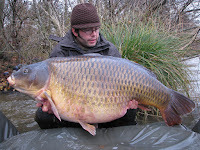 The huge common also is the new official Benelux common carp record. Belgian fisherman Geert Ooms was the lucky one catching The Big One, a well known carp that is being hunted by many anglers but rarely gets caught. Ooms reportedly spent a full seven years trying to catch The Big One, and succeeded on December 1st, setting a new Benelux common carp record with a new record weight of 85lb 4oz. Back in 2009 this same fish was captured at a weight of 82lb 5oz, breaking the overall Benelux record at the time. Still The Big One is a fraction smaller than Markus Pelzer's common carp Mary, being the current WR common with 88lb+. The current carp fishing record for Belgium and the Benelux region (which also includes The Netherlands and Luxemburg) stands at 88lb 2oz. This mirror carp, nicknamed De Mohikaan (The Mohican) was landed just this October on a secluded lake in Belgium. 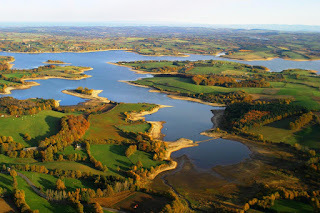 The last couple of years both The Big One and De Mohikaan have both broken several carp records in Belgium, topping all other catches for the Benelux area. The biggest Dutch carp that was caught in 2011 as well doesn't even come close with a record weight om 32,5 kg vs. 40 kg for De Mohikaan.